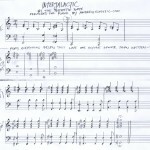 Andrew makes songs based on your ideas. And sometimes he just makes songs. 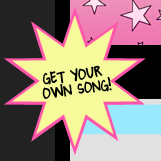 Of course, all the songs here will stay up for your enjoyment – some might even be made into videos in the near future. :) I will also continue to do commissions. Thank you all for your support and encouragement over the years. Things are getting bigger and better and I hope you’ll stay on this magic carpet ride with me forever! 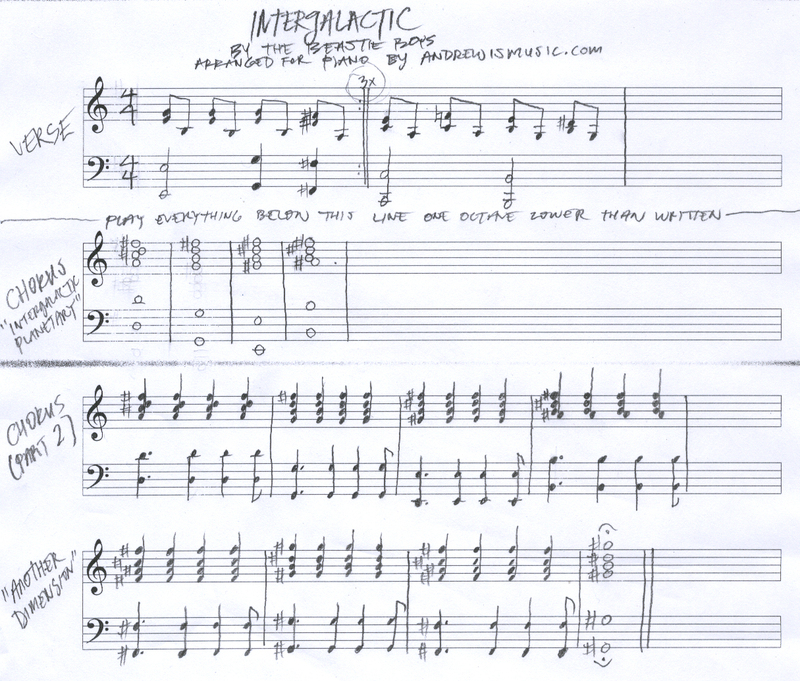 Thanks to Rachelle for the mini-commission to get this Intergalactic piano part written out. Enjoy! My other half an I are doing a silly (silly AWESOME) animated short series and you are the ONLY possible person who can do it justice with a theme song. What it’s for: a spoof 80’s animated cartoon short for the web, called the “Intergalactic Kung Fu Zombies” for a run of very short episodes featuring 3 main hero characters. They’re mercenaries who make a profit from their missions, but at the same time, take on jobs where they save the galaxy and foil evil plans etc. Tork – Big bulky mechanic/ engineer dude, he speaks very little but packs a big punch, will pull out the huge cannons only when he needs to. Sheena – She’s the sorta-leader of the 3, she’s the commando/ weapons/ ballistics expert. She uses machine guns, pistols, etc. Gash – He’s got a constant scowl on his face, he’s moody, and he’s the team’s melee/ close combat, infiltration/ espionage, & demolition/ sabotage expert. His specialties are using knives/ blades, small arms, snipers, and of course, lots of explosives. The Ghost – What the team calls it’s main client and retainer. The Ghost is an AI computer that seems to be working reconnaisance and intervention operations, from which it assigns ‘jobs’ to the IKFZ. Watch Intergalactic Kung Fu Zombies on YouTube! At last I get to comment first!! Ha-ha1! Anyway, I must say that this is good!!! Even AWESOME. As usual. But I loved this. As a nineties kid, it reminds me of Power Rangers a little. @RYRY me too! i miss the 90’s! This has to be one of the best songs that you’ve made yet. I’m going to be singing it all month now. Also, random note, but this song came out on my birthday. That’s awesome. WHERE IS THE BEASTIE BOYS REFERENCE? Everybody was kung-fu biting! Those cats weren’t fast as lightning! Youre a real deep thniker. Thanks for sharing. o.o this…. this should be a TV SHOW!! i could listen to this song every day! :D intergalactic kung fu zombies go!